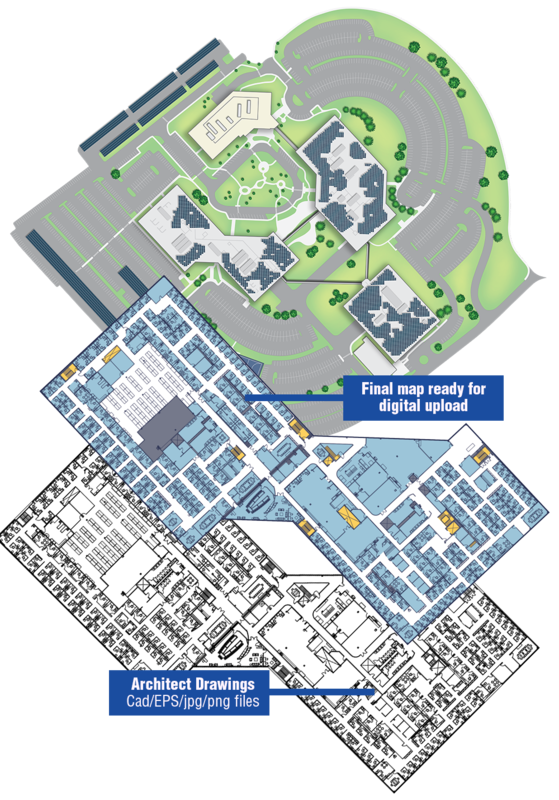 Digital Indoor Mapping Platform for Various Use Cases and Applications. 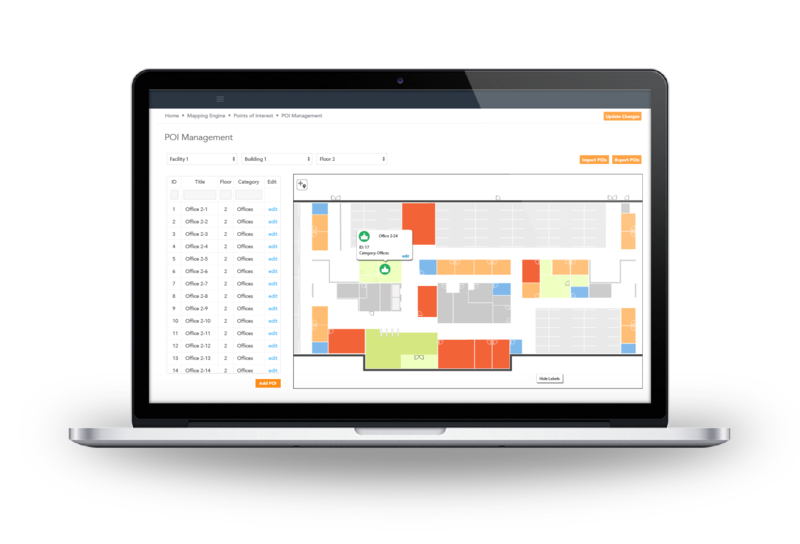 Through its web-based CMS, SPREO helps you create a pristine map of your facility that incorporates meta data such as points of interest and pathways. 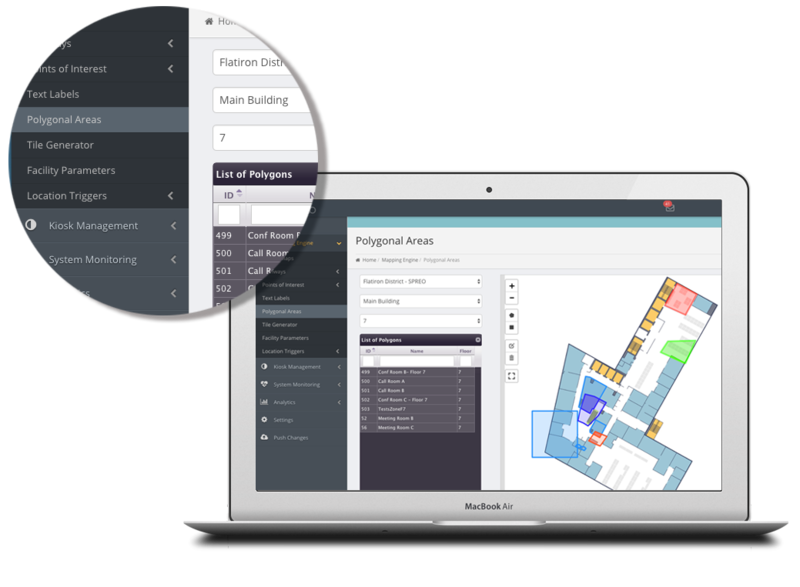 SPREO’s Indoor Mapping platform transforms your physical spaces into an interactive digital experience by incorporating contextual location and indoor positioning. Our Content Management System (CMS) provides customizable maps and multiple data layers to effectively tailor the user experience with Points-of-Interest (POI) management, geofencing, zone detection, indoor with outdoor routing pathways, map labels, and more. 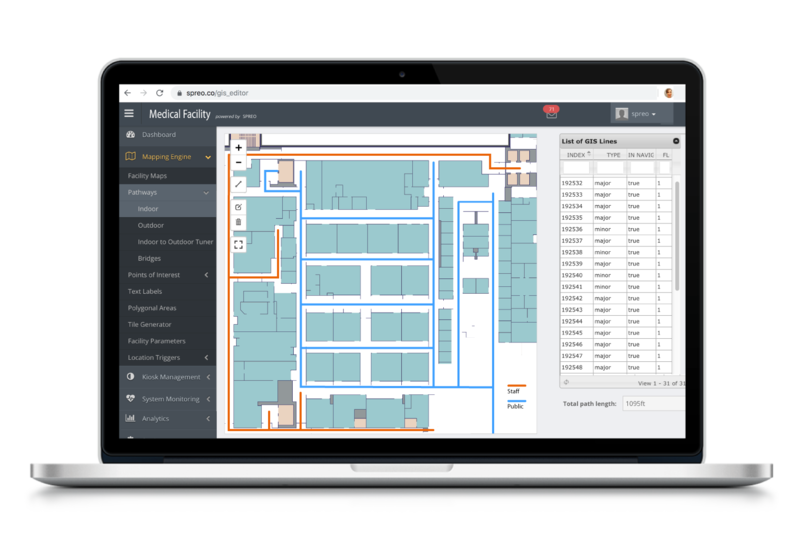 Our mapping platform also connects the physical to the digital word for integrations with other IoT systems such as HVAC, facility management, Resource Booking Systems (RBS), and so on. SPREO’s platform has the capability to differentiate routes for guests or employees. To do this, SPREO will add necessary constraints when generating a route that will account for any user’s security clearance. SPREO also has the ability to route handicapped users by avoiding stairs. Moreover, depending on the weather, SPREO can establish routes that minimize travel time outdoors.